Do you want to know how I got started with zero clients to having more work than I could handle, in less than one year without a website? The answer is LinkedIn. It's a fact that LinkedIn is the most effective social media platform for lead generation for B2B business, beating out Facebook and Twitter. Click here for the research data. When I first got started in the VA industry I learned the ins and outs of LinkedIn and successfully marketed my virtual assistance business without a website. 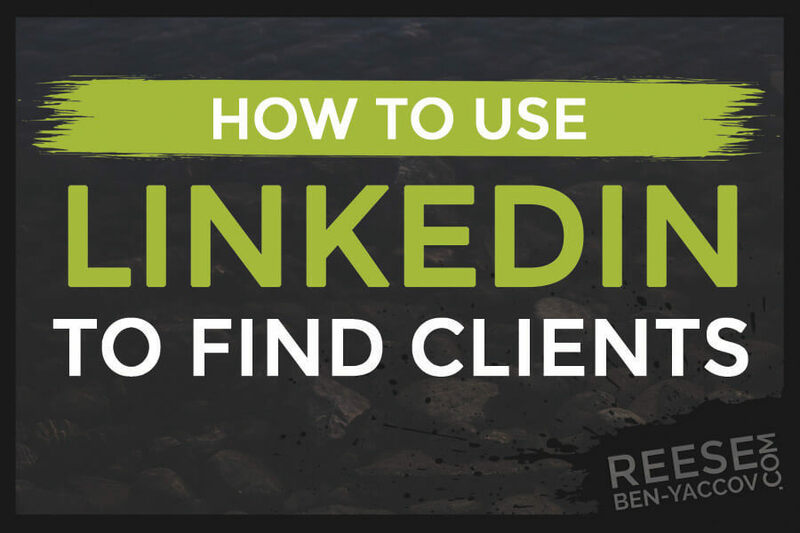 With LinkedIn alone, I managed to keep my virtual client pipeline full. Here’s the inside scoop on how I brought in lead after lead and brought in my a handful of clients. First I banged out an awesome LinkedIn profile. I researched on Google for ways to stand out on LinkedIn, to be noticed by everyone. Google it yourself, you’ll see there is a lot of advice out there about how to get more leads, and more money for your business with LinkedIn. I followed the advice of Lewis Howes. He teaches you exactly how to build a LinkedIn profile that gets noticed and that will bring in lead after lead for your business. After following his advice, I created a really awesome profile on LinkedIn. I then optimized it, big time. After you have created a great profile and you’ve optimized it with your keywords, go out and network! If you haven’t joined a group on LinkedIn, I want you to go and join a group that’s made up of your target audience. Before joining, first, ask yourself -- what is my specialty and who needs my services? My answer would be - I am a WordPress and Email Marketing Virtual Assistant. My clients are Coaches or Consultants looking to start a website manage their e-mail marketing campaigns. There are so many groups on LinkedIn that cater to business coaches and solo-entrepreneurs in these fields; it wasn’t hard to find groups that matched my target audience. Each day I spent up to 30 minutes in these groups answering questions and providing value. But you might be asking yourself "but all the groups I join seem to be full of marketers promoting their business and there are no discussions of value happening". This is unfortunately very true today regarding many groups on LinkedIn. They have become a place for people to drop off their blog posts and don't add value to the groups by way of posting and answering questions. The way I got around this was I kept my eyes peeled for actual discussions and questions that I could answer. I filtered through the noise by setting my group settings to receive a daily email summary of the group's activity. I scanned the headlines of the posts and see if there is something relevant to comment on. The more I post in a group, the more my name and profile start appearing in front of all of the group members (this reach could be in the hundreds or thousands). Within a short period of time, I was discovered and started a conversation about virtual assistant services with someone who contacted me from one of the groups I was a member of. This happened inside of a female entrepreneurs group. The subject of the conversation was about what type of pantyhose should female executives wear during summer months! That conversation is what brought me one of my key clients who I have been working with for almost 3 years. So you see, all I did on LinkedIn was network, I just joined in on a conversation. You don’t even need to talk about virtual assistant services. Just join a conversation and put yourself out there. People will notice you. The world is a social place at heart and the more you go out there and meet different people, the more opportunity you have to grow your professional network. More connections = more opportunity. Don't forget to start your own conversations. Pay attention to the things people are "stuck on". Ask questions that are relevant for the group. For example, if you're in a real estate group you can ask what type of customer relationship management software they are using and why? Another great question is, "are you using email marketing for your real estate business"? Form questions backward. Think of the things you are really good at and then craft questions around those services that you could provide. One more example. Of course, networking alone doesn’t guarantee success. I had to create a slam-dunk tagline or what some may call my elevator speech. That first year I practiced my spiel a lot! In addition to my slam-dunk client intro, I encouraged them to check out the positive recommendations I received on LinkedIn. This combo worked. There is a lot more to learn about LinkedIn marketing for a virtual assistant business, but these are really the most important tips I can give you to get you started with LinkedIn marketing. I cover all of these tactics and more in my Social Media Marketing Masterclass, where I literally walk you through step-by-step how to get clients for your virtual assistant using LinkedIn (and I also include Facebook and Twitter). Do you use LinkedIn for your virtual assistant business? If you do please post a comment below, I read every comment and I look forward to hearing from you!